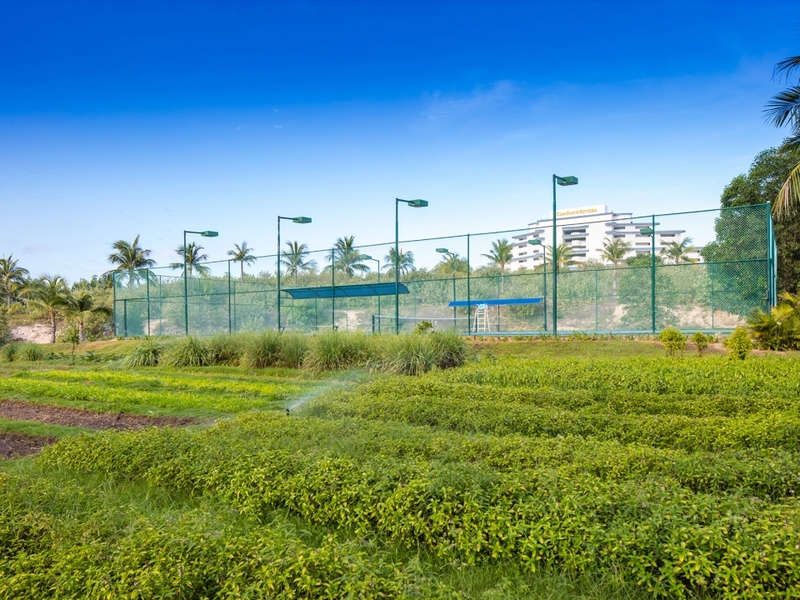 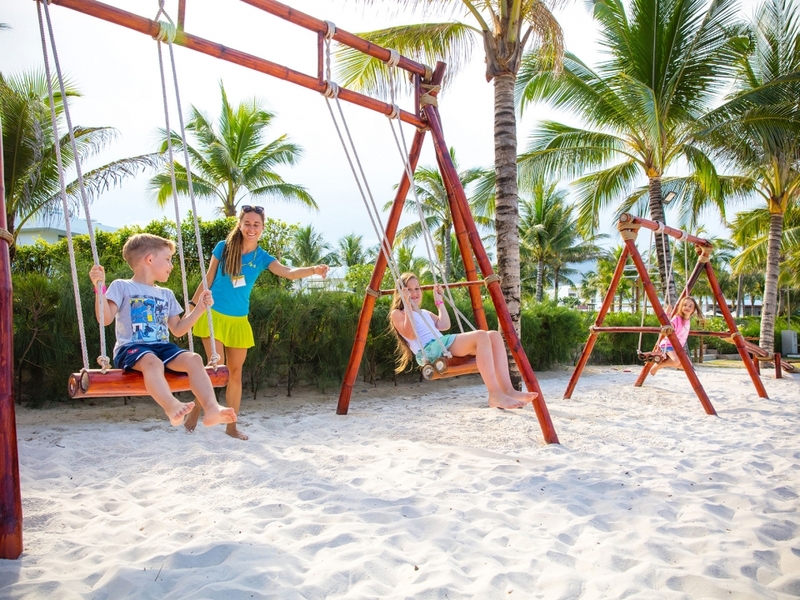 The park was constructed with international standard equipment. 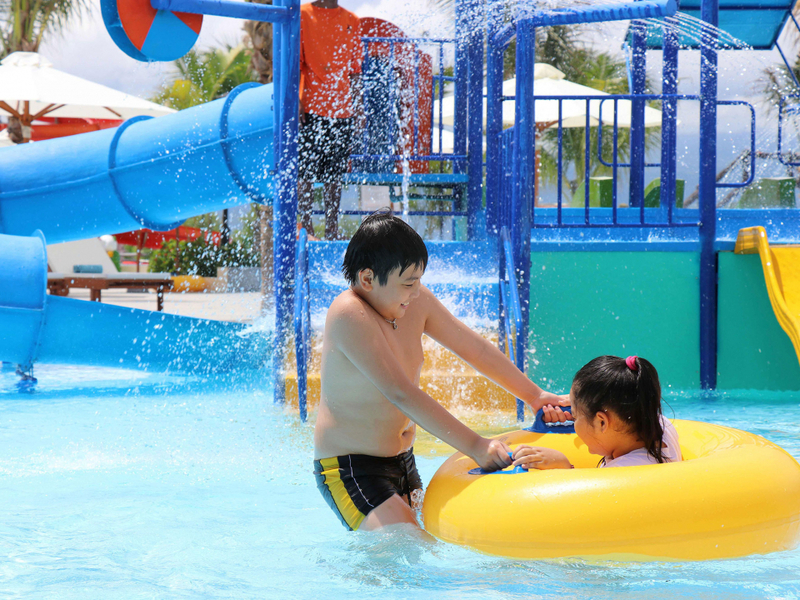 It is safe and suitable for people of all ages. 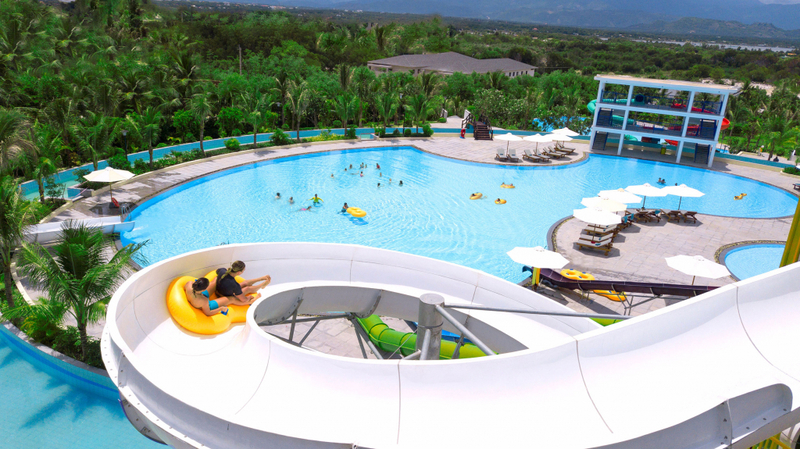 Especially, at the entertainment resort for children. 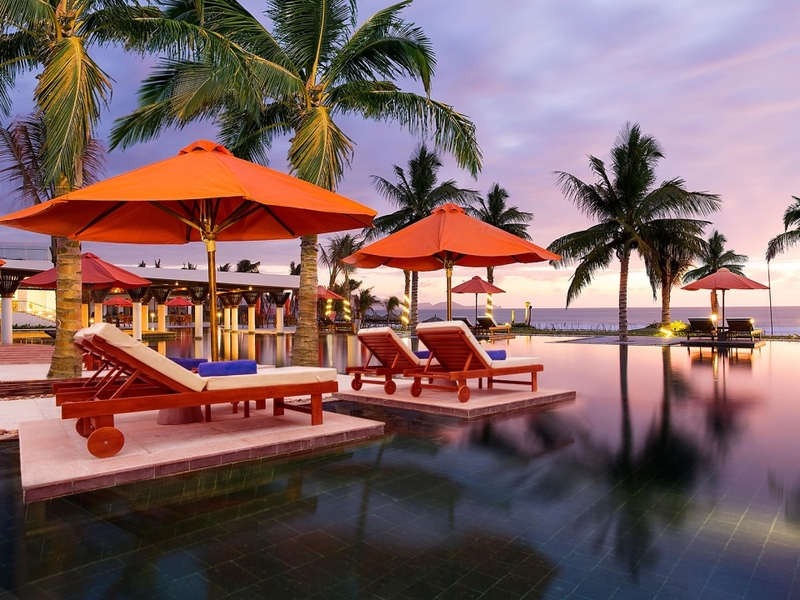 You got away from the hustle of daily obligations and cannot wait for your vacation to start. 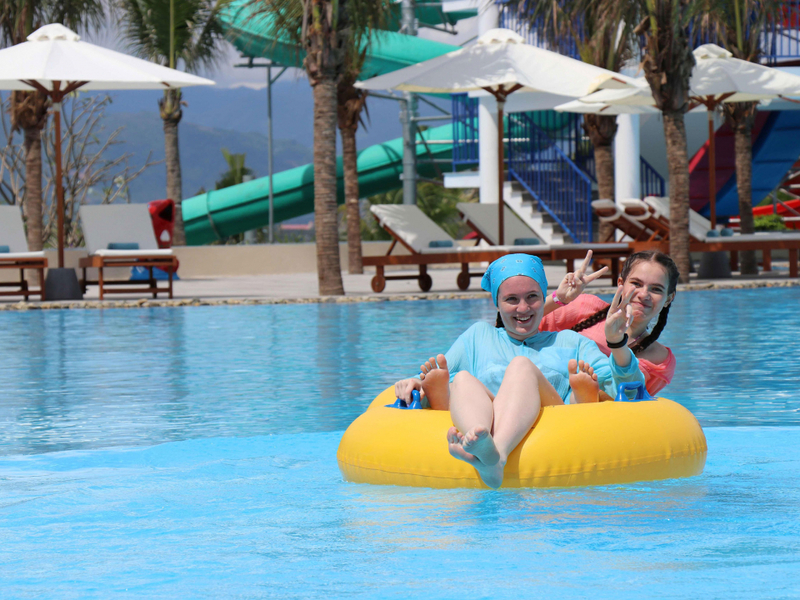 Step away from stress, our animation team has prepared an exciting and fun animation program for all ages and interests. 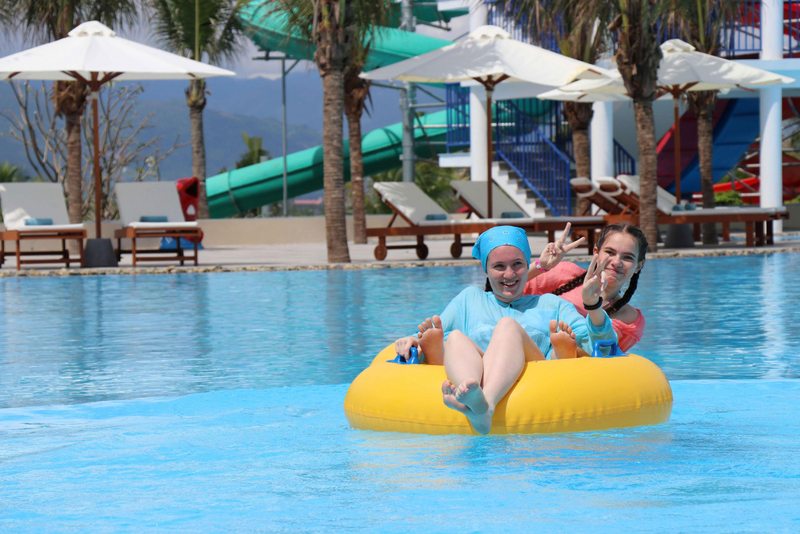 During the day, activities such as Aqual gym, Yoga, Zumba, Cartoons are organized at pool or beach. 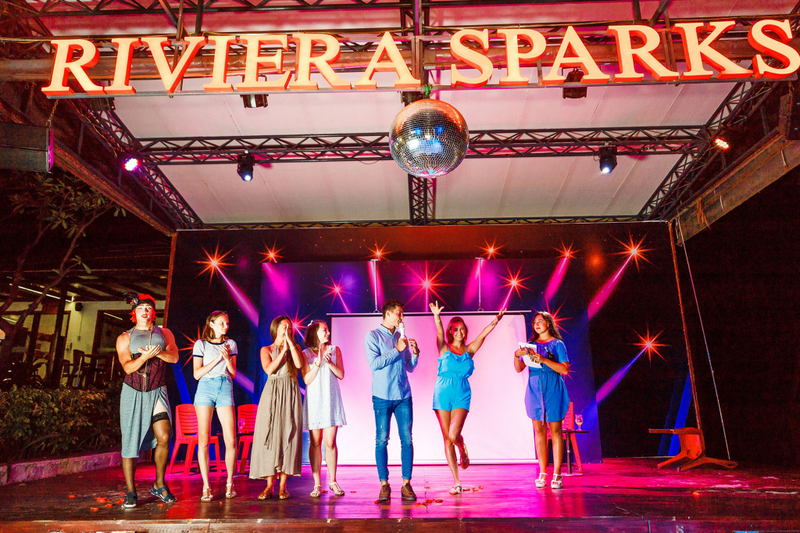 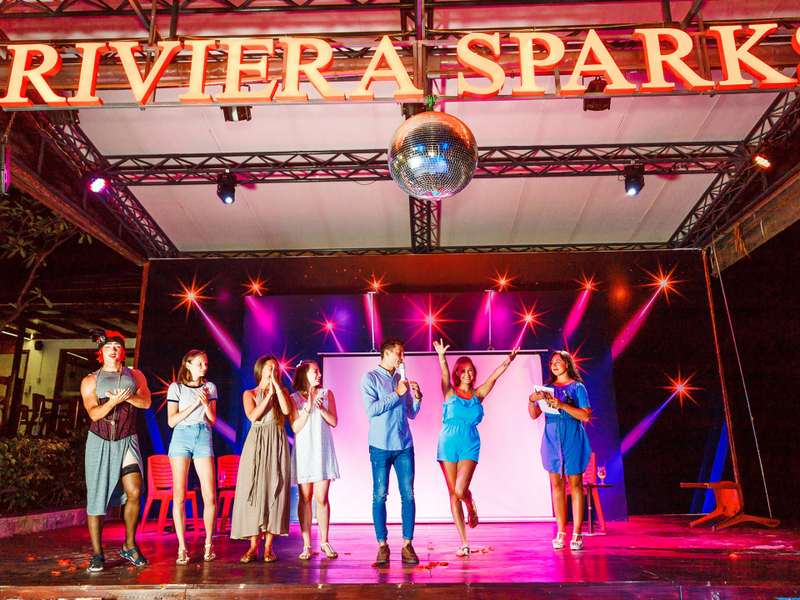 In the evenings, different soft programs are planned each night with music, performance and competitions. 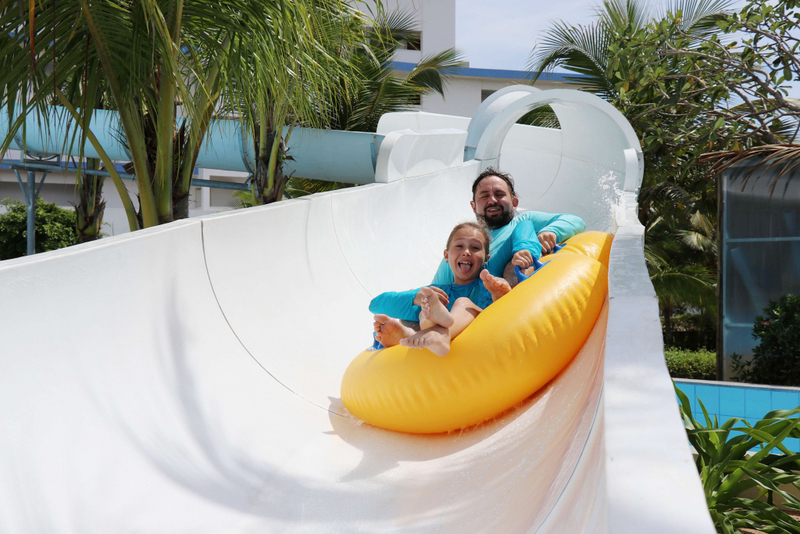 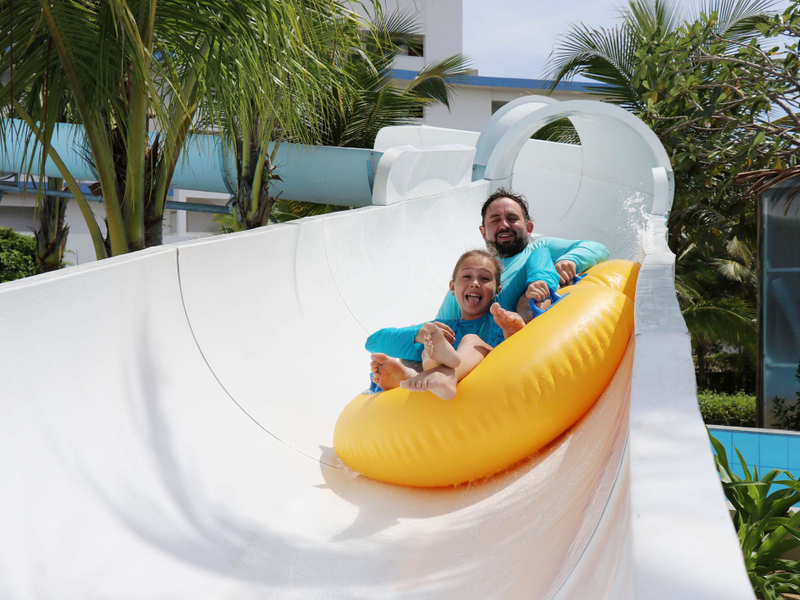 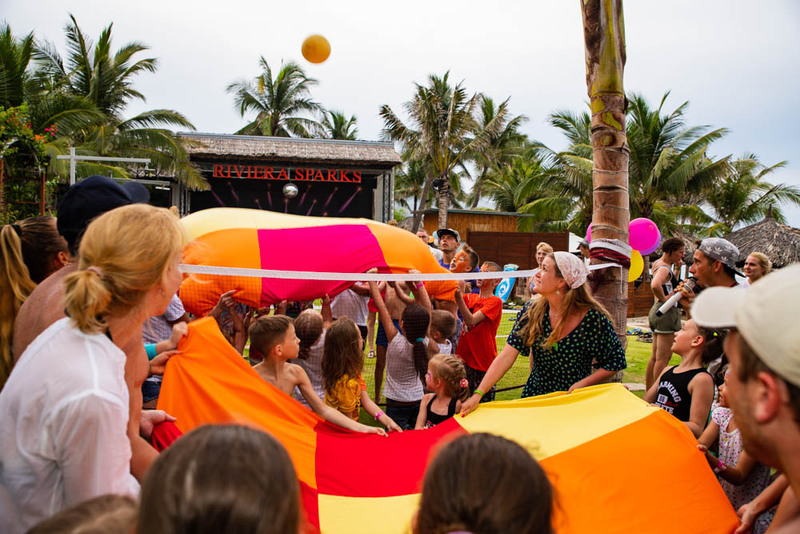 In addition to making sure the resort’s younger guests are enjoying themselves, our professional animation team also organizes separate programs for teenagers and kids. 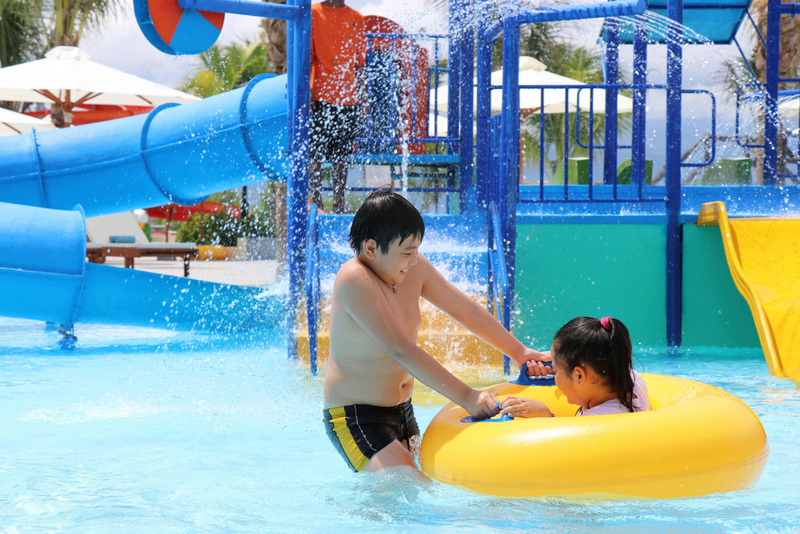 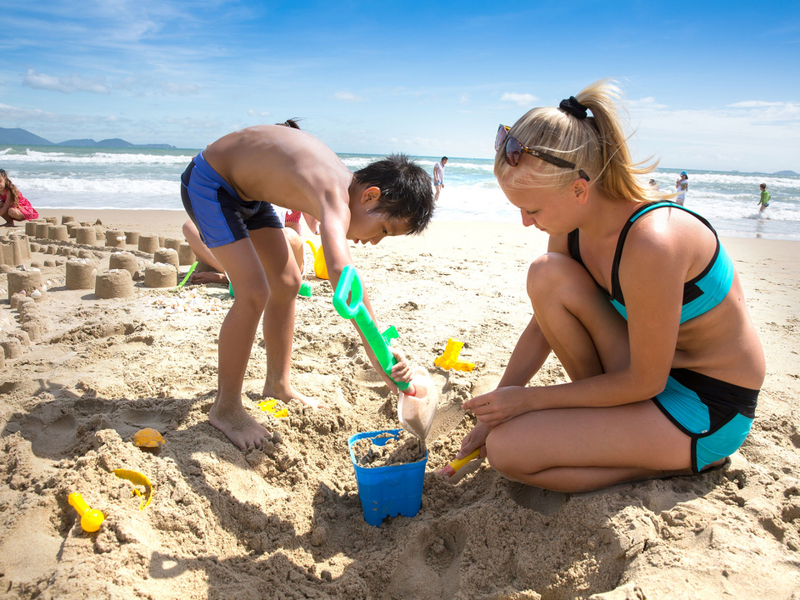 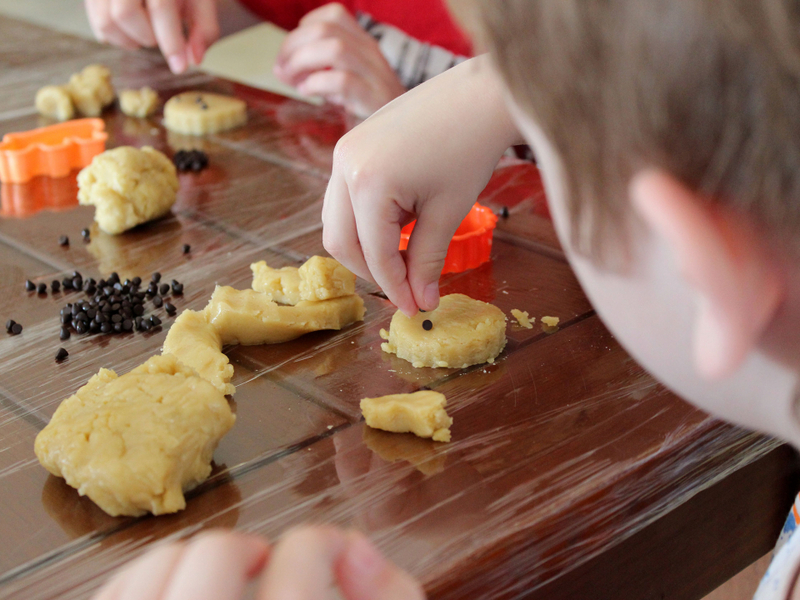 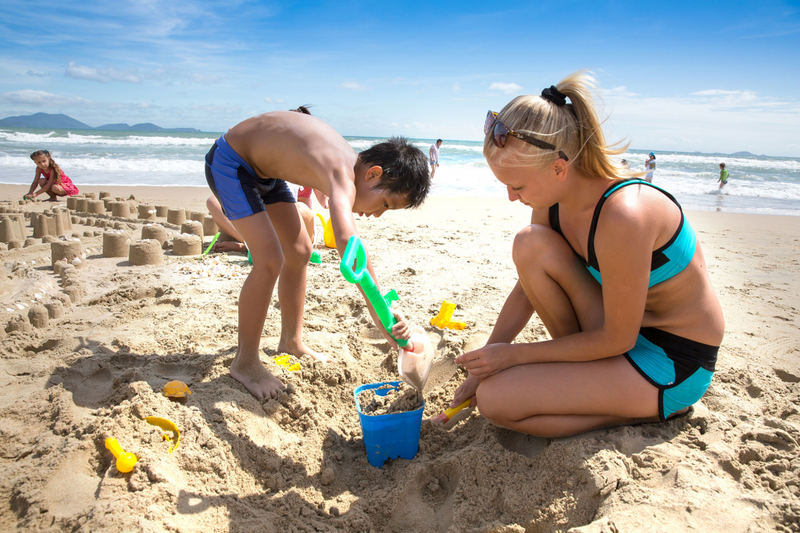 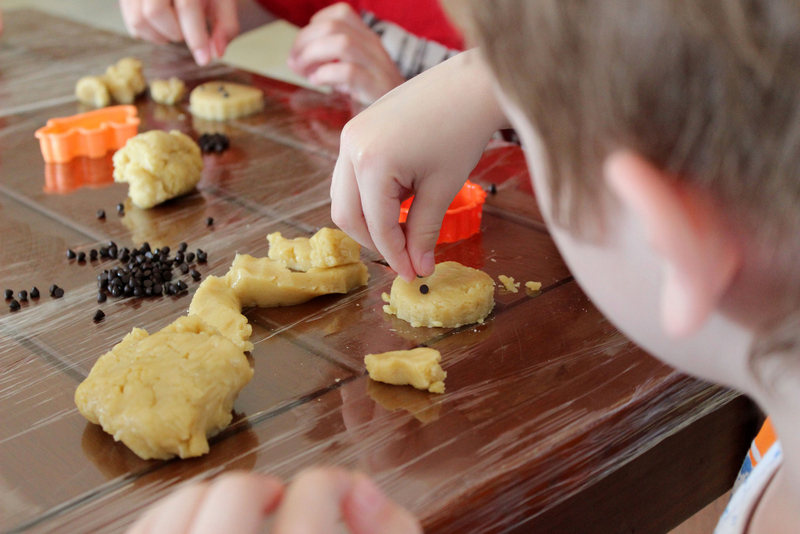 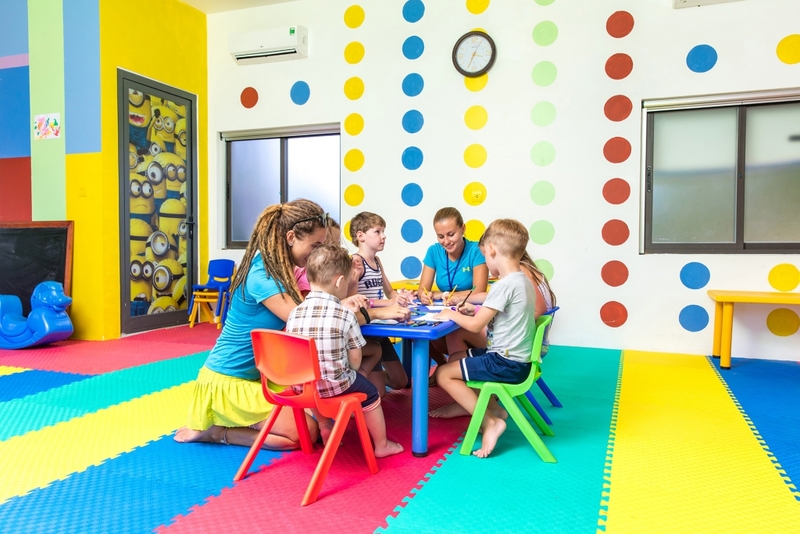 The bright and colourful Kids Island is a safe and fun environment with indoor and outdoor play areas. 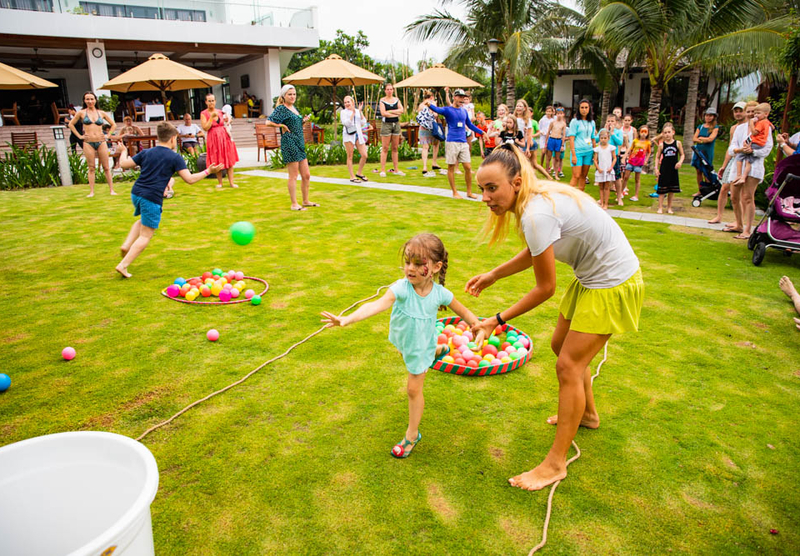 The club has a team of specialist staff that care for and keep little ones busy while parents relax and enjoy precious alone time. 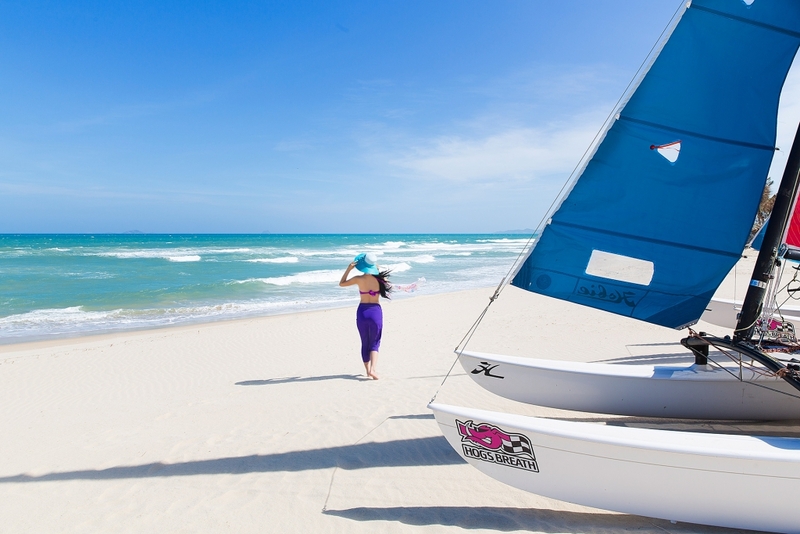 This 170-metre private stretch of white sand beach is available exclusively to guests of Cam Ranh Riviera Beach Resort &Spa. 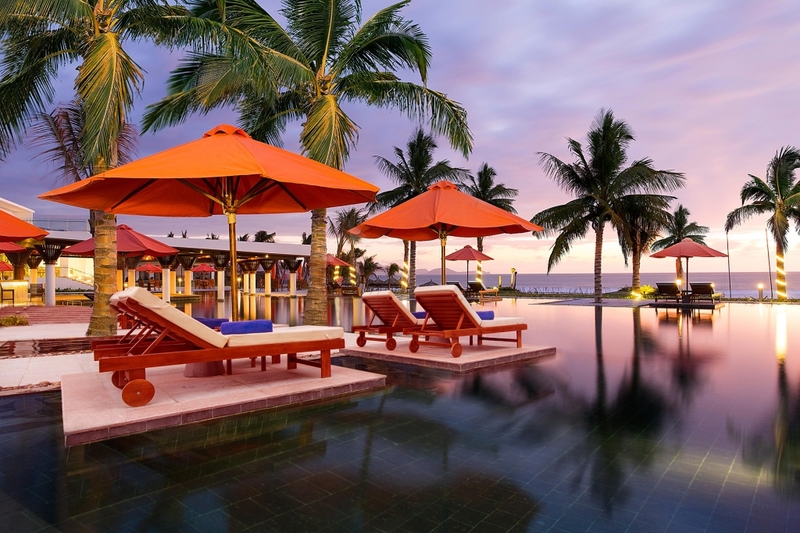 Relax on a chaise lounge in shaded bamboo cabanas. 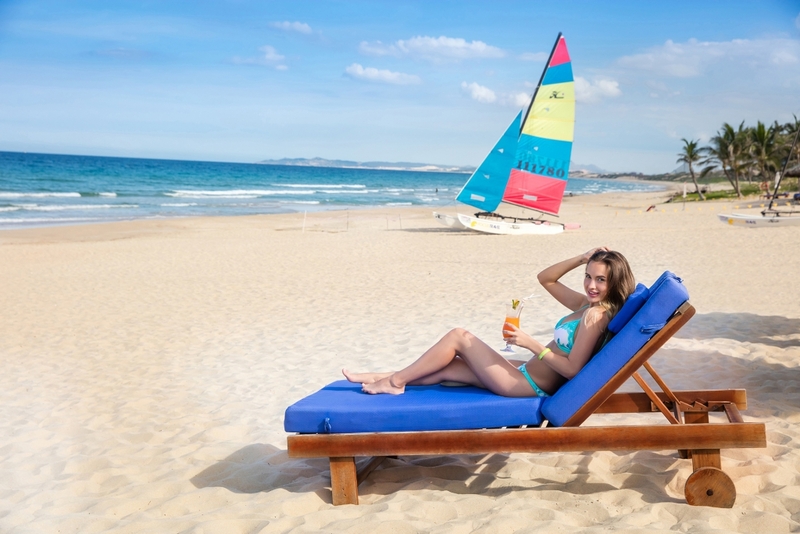 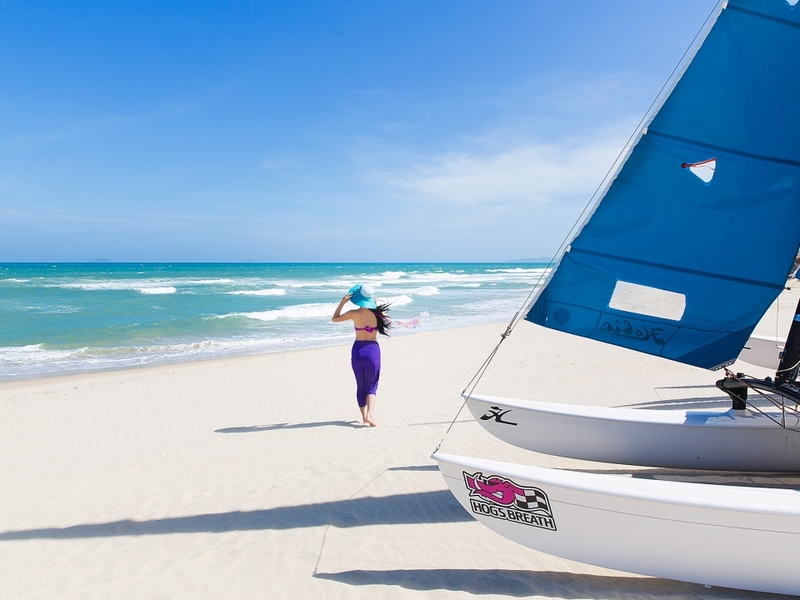 Enjoy a swim in the surf, read a book, catch up on writing postcards, or simply laze the afternoon away. 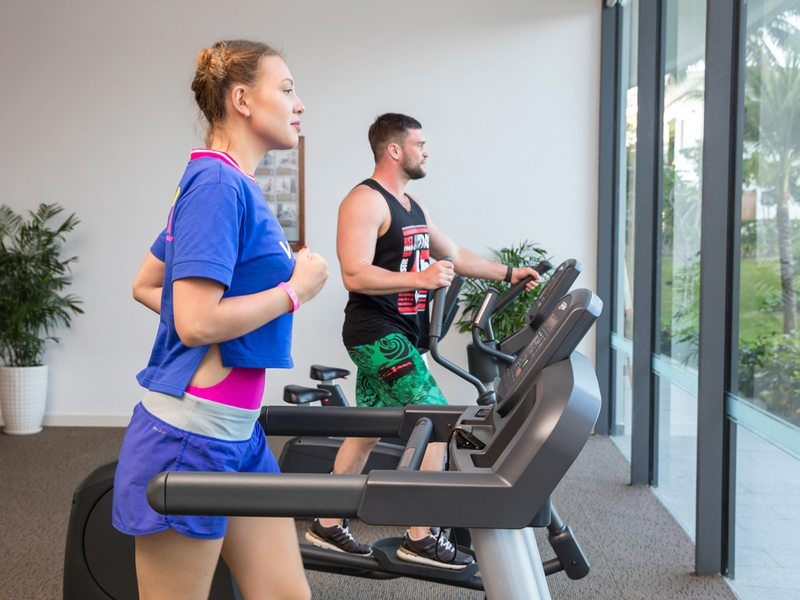 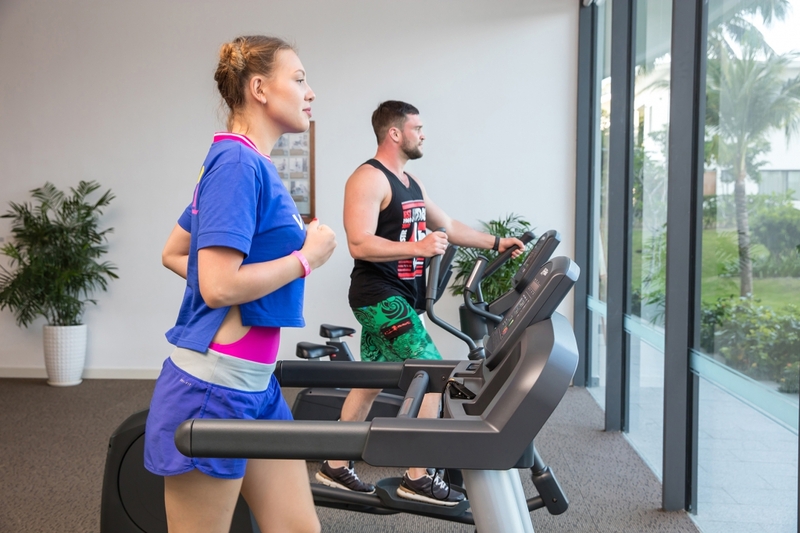 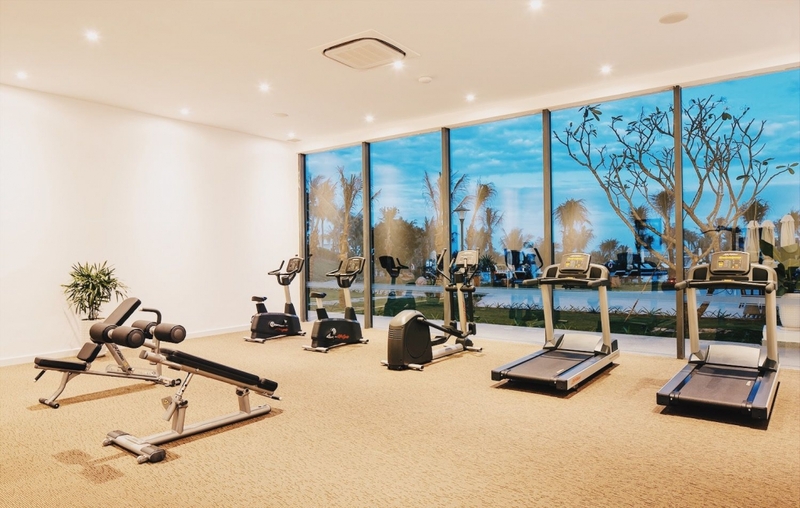 There’s no need to fall off your wellness schedule while on holiday, as our air-conditioned fitness centre are well-appointed with a range of high-quality exercise machines, free weights, and other fitness equipment. 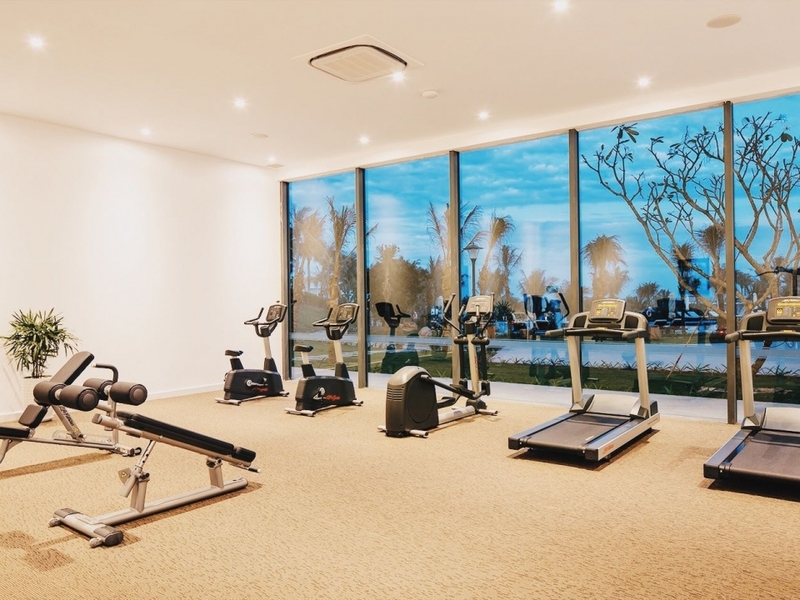 For an outdoor workout, the resort also provides additional recreation items such as bicycles for guests to use. 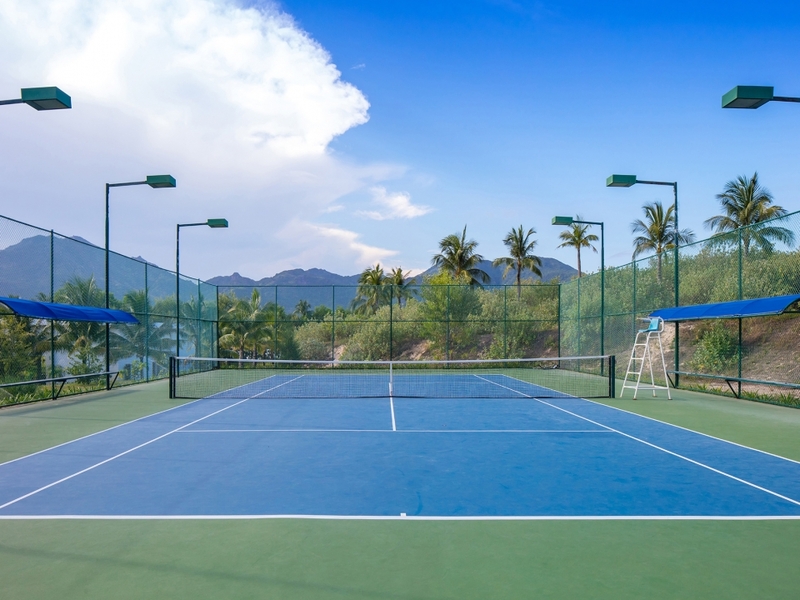 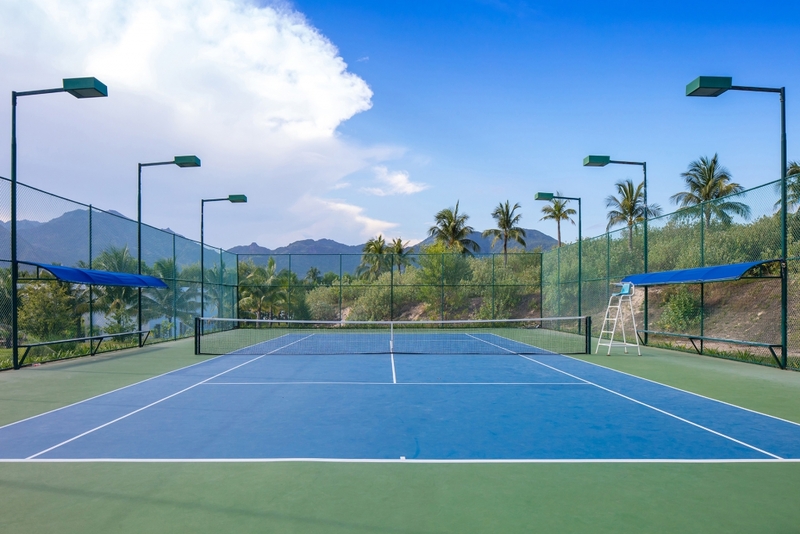 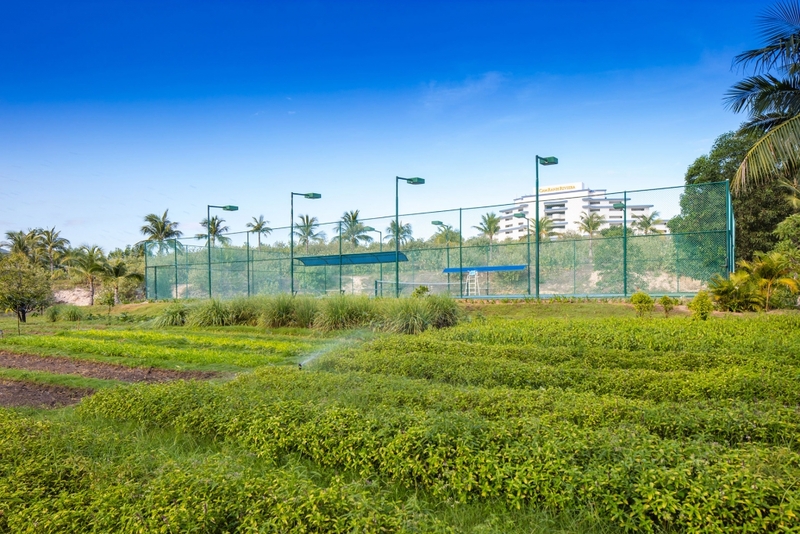 Our tennis court, surrounded in the area of 700 meters square, provides the best equipment for your game, from our well-maintained court to quality rackets and tennis balls. 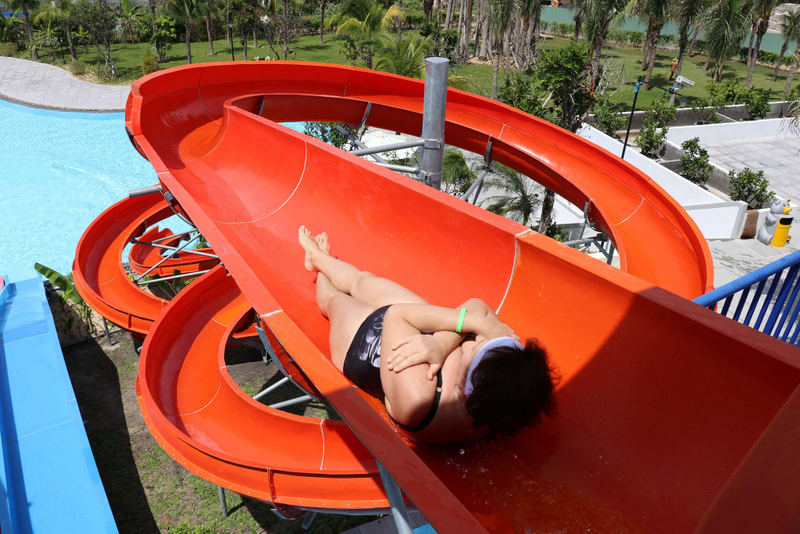 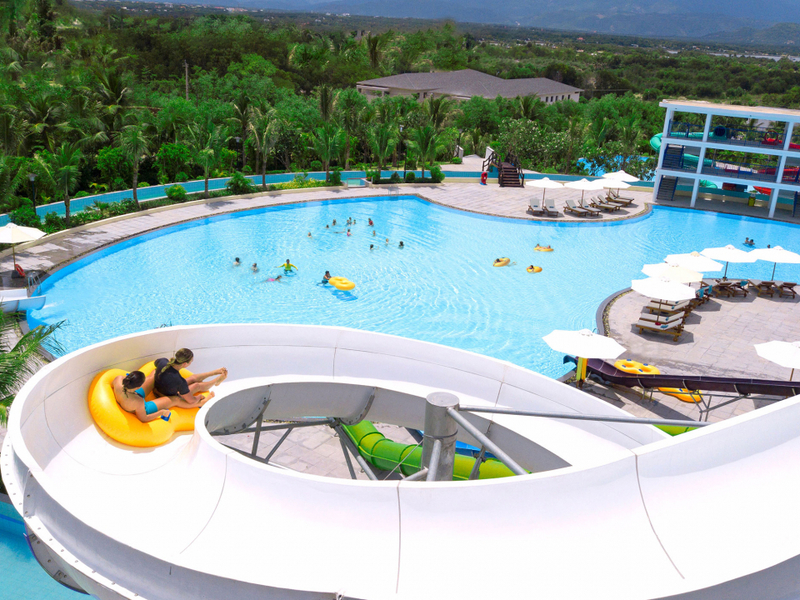 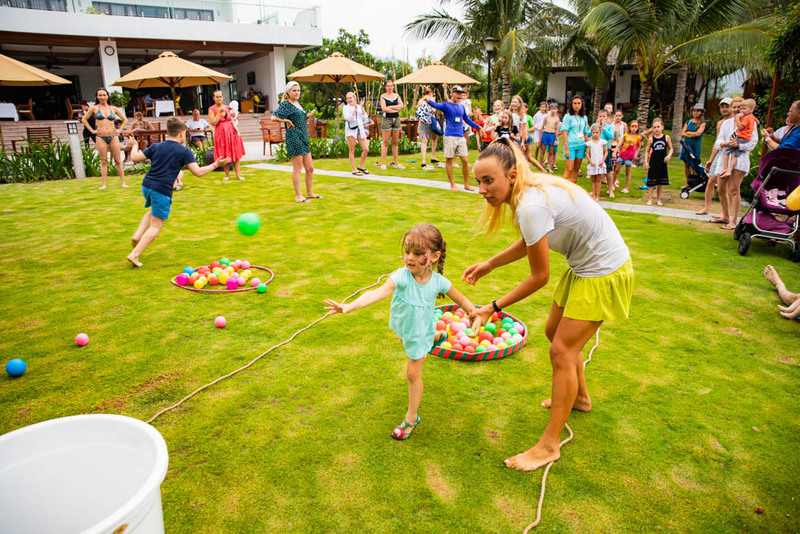 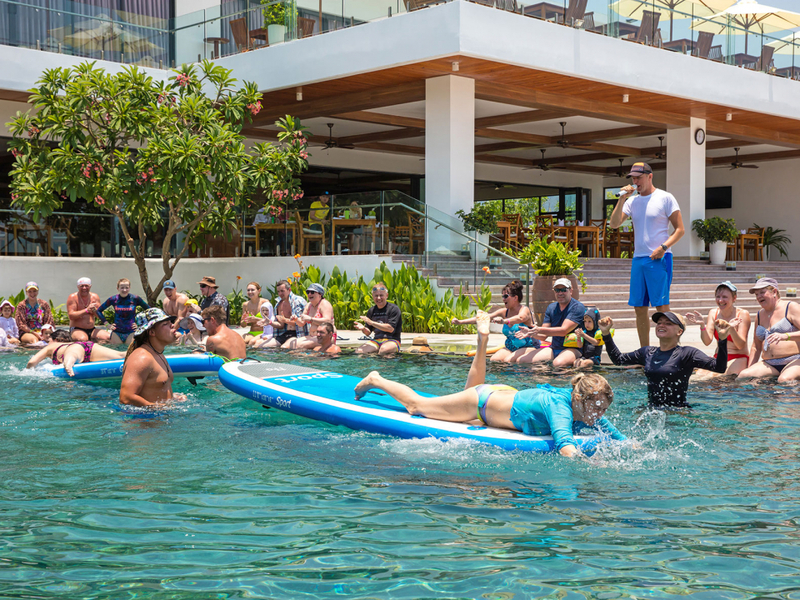 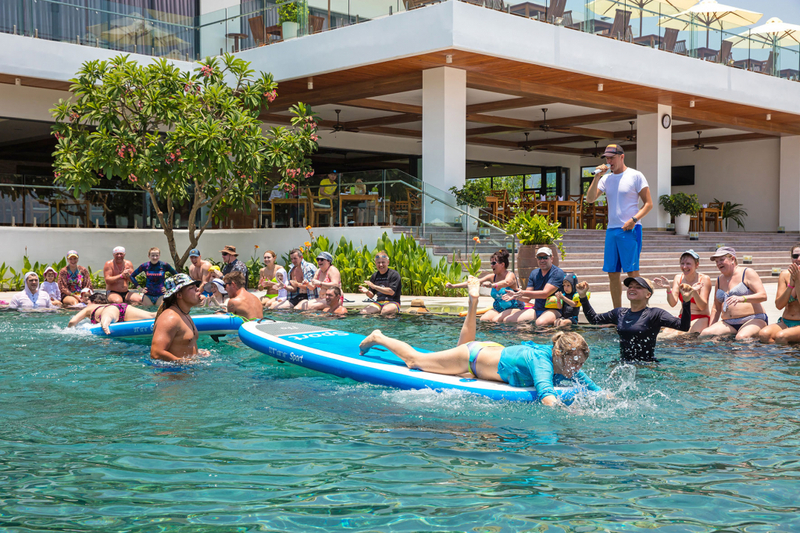 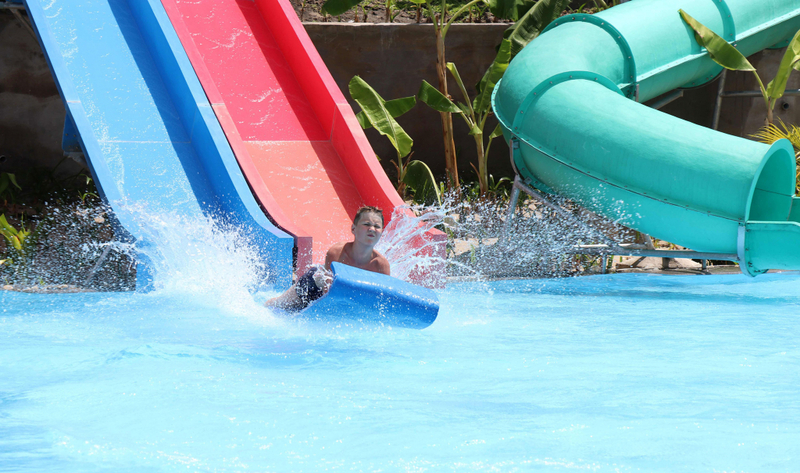 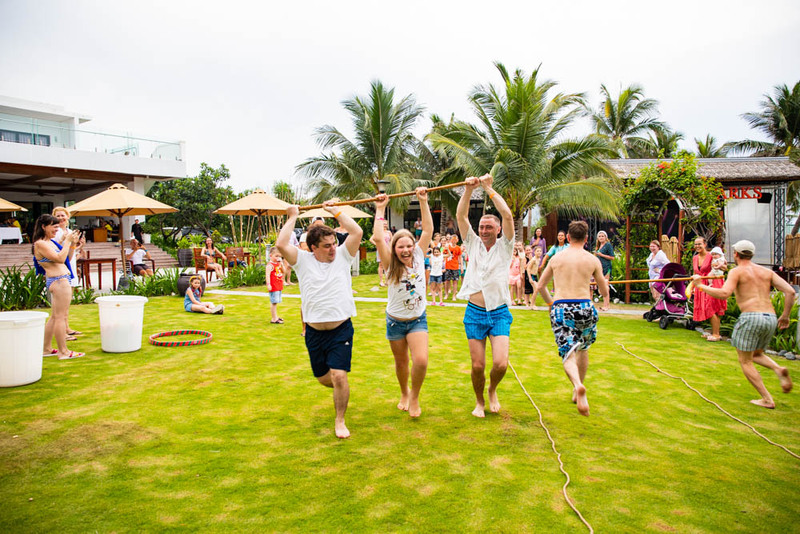 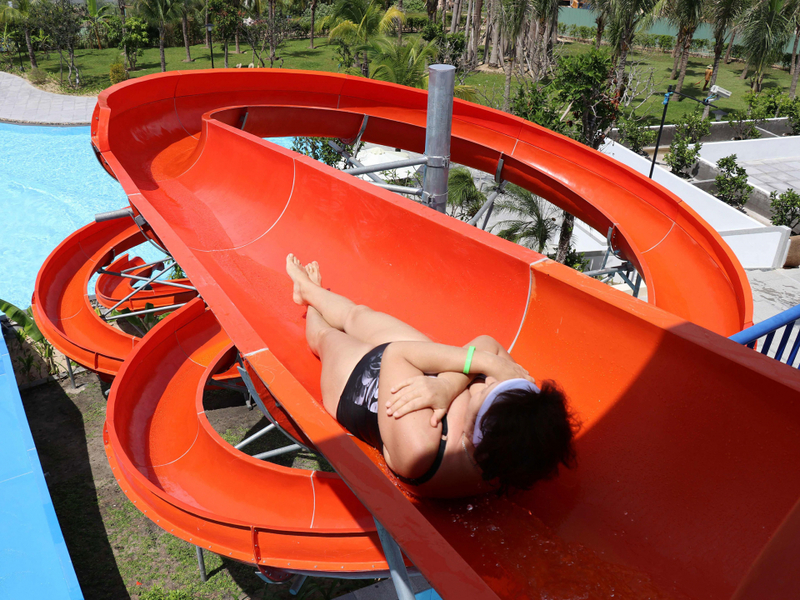 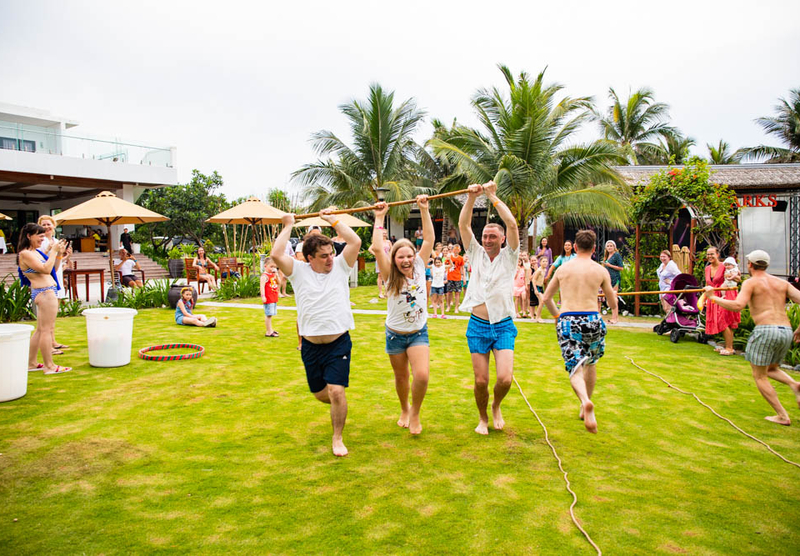 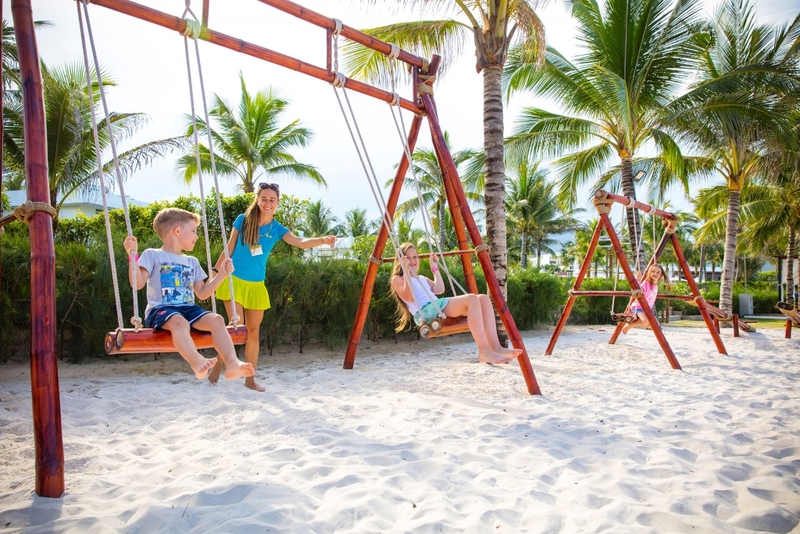 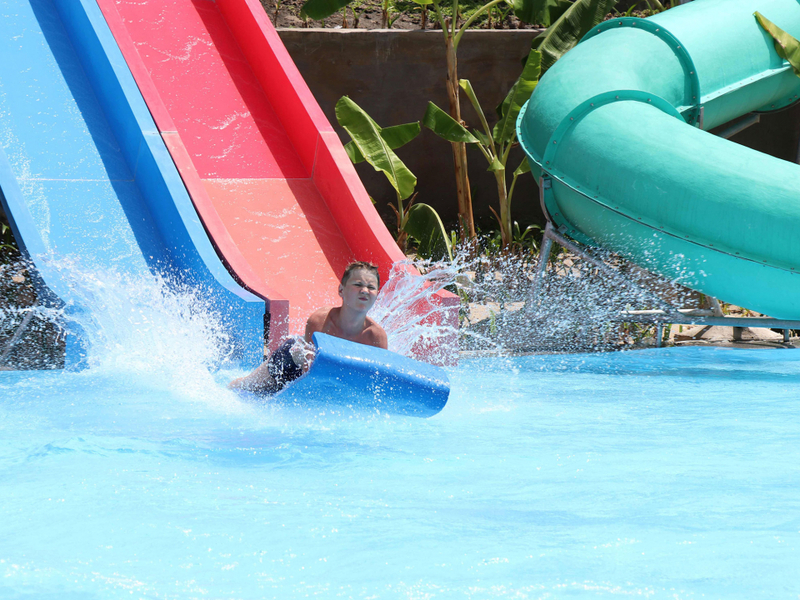 Work out and play with your friends or your family in an open, beachside setting beneath rolling mountain ranges and under the warm Vietnamese sun.